All prices plus tax, tag, dealer fee, and dealer installed accessories. Includes all rebates and incentives. See dealer for details. Delivers 40 Highway MPG and 29 City MPG! This Chevrolet Cruze delivers a Turbocharged Gas I4 1.4L/ engine powering this Automatic transmission. WHEELS, 15 (38.1 CM) STEEL WITH FULL BOLT-ON WHEEL COVERS (STD), TRANSMISSION, 6-SPEED AUTOMATIC (STD), TIRES, 195/65R15 ALL-SEASON, BLACKWALL. * This Chevrolet Cruze Features the Following Options *SUMMIT WHITE, SEATS, FRONT BUCKET WITH RECLINING SEATBACKS AND ADJUSTABLE HEAD RESTRAINTS (STD), LS PREFERRED EQUIPMENT GROUP includes Standard Equipment, JET BLACK, CLOTH SEAT TRIM, ENGINE, 1.4L TURBO DOHC 4-CYLINDER DI with Continuous Variable Valve Timing (CVVT) (153 hp [114.08 kW] @ 5600 rpm, 177 lb-ft of torque [239 N-m] @ 2000-4000 rpm) (STD), AUDIO SYSTEM, CHEVROLET INFOTAINMENT 3 SYSTEM 7 diagonal color touchscreen, AM/FM stereo. Additional features for compatible phones include: Bluetooth audio streaming for 2 active devices, voice command pass-through to phone, Apple CarPlay and Android Auto capable. (STD), Wipers, front intermittent, variable, Windshield, solar absorbing, Windows, power with Express-Down, Wheel, spare, none. * Visit Us Today *For a must-own Chevrolet Cruze come see us at Nimnicht Chevrolet, 1550 Cassat Ave, Jacksonville, FL 32210. Just minutes away! Delivers 38 Highway MPG and 28 City MPG! This Chevrolet Cruze delivers a Turbocharged Gas I4 1.4L/85 engine powering this Automatic transmission. ENGINE, 1.4L TURBO DOHC 4-CYLINDER DI with Continuous Variable Valve Timing (CVVT) (153 hp [114.08 kW] @ 5600 rpm, 177 lb-ft of torque [239 N-m] @ 2000-4000 rpm) (STD), Wipers, front intermittent, variable, Wiper, rear intermittent with washer. * This Chevrolet Cruze Features the Following Options *Windshield, solar absorbing, Windows, power with Express-Down, Wheels, 15 (38.1 cm) steel with full bolt-on wheel covers, Wheel, spare, 16 (40.6 cm) steel, Warning tones, driver and front passenger seat belts, Visors, driver and front passenger vanity mirrors, USB ports, 2, with auxiliary input jack, front, Transmission, 6-speed automatic, Tires, 195/65R15 all-season, blackwall, Tire, compact spare, T125/70D16. * Visit Us Today *You've earned this- stop by Nimnicht Chevrolet located at 1550 Cassat Ave, Jacksonville, FL 32210 to make this car yours today! Delivers 40 Highway MPG and 29 City MPG! This Chevrolet Cruze delivers a Turbocharged Gas I4 1.4L/ engine powering this Automatic transmission. ENGINE, 1.4L TURBO DOHC 4-CYLINDER DI with Continuous Variable Valve Timing (CVVT) (153 hp [114.08 kW] @ 5600 rpm, 177 lb-ft of torque [239 N-m] @ 2000-4000 rpm) (STD), Wipers, front intermittent, variable, Windshield, solar absorbing. *This Chevrolet Cruze Comes Equipped with These Options *Windows, power with Express-Down, Wheels, 15 (38.1 cm) steel with full bolt-on wheel covers, Wheel, spare, none, Warning tones, driver and front passenger seat belts, Visors, driver and front passenger vanity mirrors, USB ports, 2, with auxiliary input jack, front, Trunk release, power, remote, Tires, 195/65R15 all-season, blackwall, Tire, spare, none, Tire sealant and inflator kit. * Visit Us Today *Come in for a quick visit at Nimnicht Chevrolet, 1550 Cassat Ave, Jacksonville, FL 32210 to claim your Chevrolet Cruze! Scores 40 Highway MPG and 29 City MPG! This Chevrolet Cruze boasts a Turbocharged Gas I4 1.4L/ engine powering this Automatic transmission. WHEELS, 16 (40.6 CM) ALUMINUM, TRANSMISSION, 6-SPEED AUTOMATIC (STD), TIRES, 205/55R16 ALL-SEASON, BLACKWALL. * This Chevrolet Cruze Features the Following Options *LS CONVENIENCE PACKAGE includes (K34) cruise control, (BTV) remote vehicle starter system, (UC3) steering wheel-mounted controls, (SK8) 16 aluminum wheels, 16 tires and (NJ0) electric rack-mounted, reduced travel power steering , STEERING, POWER, ELECTRIC RACK-MOUNTED, REDUCED TRAVEL, STEERING WHEEL CONTROLS, MOUNTED AUDIO AND PHONE INTERFACE CONTROLS, SILVER ICE METALLIC, SEATS, FRONT BUCKET WITH RECLINING SEATBACKS AND ADJUSTABLE HEAD RESTRAINTS (STD), REMOTE VEHICLE STARTER SYSTEM, LS PREFERRED EQUIPMENT GROUP includes Standard Equipment, JET BLACK, CLOTH SEAT TRIM, ENGINE, 1.4L TURBO DOHC 4-CYLINDER DI with Continuous Variable Valve Timing (CVVT) (153 hp [114.08 kW] @ 5600 rpm, 177 lb-ft of torque [239 N-m] @ 2000-4000 rpm) (STD), CRUISE CONTROL. 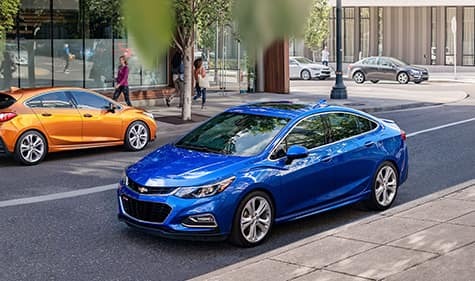 * Stop By Today *A short visit to Nimnicht Chevrolet located at 1550 Cassat Ave, Jacksonville, FL 32210 can get you a tried-and-true Cruze today! Scores 40 Highway MPG and 29 City MPG! This Chevrolet Cruze delivers a Turbocharged Gas I4 1.4L/ engine powering this Automatic transmission. WHEELS, 16 (40.6 CM) ALUMINUM, TRANSMISSION, 6-SPEED AUTOMATIC (STD), TIRES, 205/55R16 ALL-SEASON, BLACKWALL. * This Chevrolet Cruze Features the Following Options *LS CONVENIENCE PACKAGE includes (K34) cruise control, (BTV) remote vehicle starter system, (UC3) steering wheel-mounted controls, (SK8) 16 aluminum wheels, 16 tires and (NJ0) electric rack-mounted, reduced travel power steering , SUMMIT WHITE, STEERING, POWER, ELECTRIC RACK-MOUNTED, REDUCED TRAVEL, STEERING WHEEL CONTROLS, MOUNTED AUDIO AND PHONE INTERFACE CONTROLS, SEATS, FRONT BUCKET WITH RECLINING SEATBACKS AND ADJUSTABLE HEAD RESTRAINTS (STD), REMOTE VEHICLE STARTER SYSTEM, LS PREFERRED EQUIPMENT GROUP includes Standard Equipment, JET BLACK, CLOTH SEAT TRIM, ENGINE, 1.4L TURBO DOHC 4-CYLINDER DI with Continuous Variable Valve Timing (CVVT) (153 hp [114.08 kW] @ 5600 rpm, 177 lb-ft of torque [239 N-m] @ 2000-4000 rpm) (STD), CRUISE CONTROL. * Stop By Today *Stop by Nimnicht Chevrolet located at 1550 Cassat Ave, Jacksonville, FL 32210 for a quick visit and a great vehicle! Delivers 38 Highway MPG and 28 City MPG! This Chevrolet Cruze delivers a Turbocharged Gas I4 1.4L/85 engine powering this Automatic transmission. ENGINE, 1.4L TURBO DOHC 4-CYLINDER DI with Continuous Variable Valve Timing (CVVT) (153 hp [114.08 kW] @ 5600 rpm, 177 lb-ft of torque [239 N-m] @ 2000-4000 rpm) (STD), Wipers, front intermittent, variable, Wiper, rear intermittent with washer. * This Chevrolet Cruze Features the Following Options *Windshield, solar absorbing, Windows, power with Express-Down, Wheels, 15 (38.1 cm) steel with full bolt-on wheel covers, Wheel, spare, 16 (40.6 cm) steel, Warning tones, driver and front passenger seat belts, Visors, driver and front passenger vanity mirrors, USB ports, 2, with auxiliary input jack, front, Transmission, 6-speed automatic, Tires, 195/65R15 all-season, blackwall, Tire, compact spare, T125/70D16. * Visit Us Today *Come in for a quick visit at Nimnicht Chevrolet, 1550 Cassat Ave, Jacksonville, FL 32210 to claim your Chevrolet Cruze! Boasts 38 Highway MPG and 28 City MPG! This Chevrolet Cruze boasts a Turbocharged Gas I4 1.4L/85 engine powering this Automatic transmission. TRANSMISSION, 6-SPEED AUTOMATIC (STD), LS CONVENIENCE PACKAGE includes (K34) cruise control, (BTV) remote vehicle starter system, (UC3) steering wheel-mounted controls, (SK8) 16 aluminum wheels, 16 tires and (NJ0) electric rack-mounted, reduced travel power steering, ENGINE, 1.4L TURBO DOHC 4-CYLINDER DI with Continuous Variable Valve Timing (CVVT) (153 hp [114.08 kW] @ 5600 rpm, 177 lb-ft of torque [239 N-m] @ 2000-4000 rpm) (STD). * This Chevrolet Cruze Features the Following Options *Wiper, rear intermittent with washer, Windshield, solar absorbing, Windows, power with Express-Down, Wheel, spare, 16 (40.6 cm) steel, Warning tones, driver and front passenger seat belts, Visors, driver and front passenger vanity mirrors, USB ports, 2, with auxiliary input jack, front, Transmission, 6-speed automatic, Tires, 195/65R15 all-season, blackwall, Tire, compact spare, T125/70D16. * Stop By Today *Test drive this must-see, must-drive, must-own beauty today at Nimnicht Chevrolet, 1550 Cassat Ave, Jacksonville, FL 32210. Boasts 38 Highway MPG and 28 City MPG! This Chevrolet Cruze delivers a Turbocharged Gas I4 1.4L/85 engine powering this Automatic transmission. WHEELS, 16 (40.6 CM) ALUMINUM, TRANSMISSION, 6-SPEED AUTOMATIC (STD), TIRES, 205/55R16 ALL-SEASON, BLACKWALL. * This Chevrolet Cruze Features the Following Options *LS CONVENIENCE PACKAGE includes (K34) cruise control, (BTV) remote vehicle starter system, (UC3) steering wheel-mounted controls, (SK8) 16 aluminum wheels, 16 tires and (NJ0) electric rack-mounted, reduced travel power steering , STEERING, POWER, ELECTRIC RACK-MOUNTED, REDUCED TRAVEL, STEERING WHEEL CONTROLS, MOUNTED AUDIO AND PHONE INTERFACE CONTROLS, SILVER ICE METALLIC, SEATS, FRONT BUCKET WITH RECLINING SEATBACKS AND ADJUSTABLE HEAD RESTRAINTS (STD), REMOTE VEHICLE STARTER SYSTEM, LS PREFERRED EQUIPMENT GROUP includes Standard Equipment, JET BLACK, CLOTH SEAT TRIM, ENGINE, 1.4L TURBO DOHC 4-CYLINDER DI with Continuous Variable Valve Timing (CVVT) (153 hp [114.08 kW] @ 5600 rpm, 177 lb-ft of torque [239 N-m] @ 2000-4000 rpm) (STD), CRUISE CONTROL. * Stop By Today *Test drive this must-see, must-drive, must-own beauty today at Nimnicht Chevrolet, 1550 Cassat Ave, Jacksonville, FL 32210. Scores 38 Highway MPG and 28 City MPG! This Chevrolet Cruze boasts a Turbocharged Gas I4 1.4L/85 engine powering this Automatic transmission. TRANSMISSION, 6-SPEED AUTOMATIC (STD), LS CONVENIENCE PACKAGE includes (K34) cruise control, (BTV) remote vehicle starter system, (UC3) steering wheel-mounted controls, (SK8) 16 aluminum wheels, 16 tires and (NJ0) electric rack-mounted, reduced travel power steering, ENGINE, 1.4L TURBO DOHC 4-CYLINDER DI with Continuous Variable Valve Timing (CVVT) (153 hp [114.08 kW] @ 5600 rpm, 177 lb-ft of torque [239 N-m] @ 2000-4000 rpm) (STD). *This Chevrolet Cruze Comes Equipped with These Options *Wiper, rear intermittent with washer, Windshield, solar absorbing, Windows, power with Express-Down, Wheel, spare, 16 (40.6 cm) steel, Warning tones, driver and front passenger seat belts, Visors, driver and front passenger vanity mirrors, USB ports, 2, with auxiliary input jack, front, Transmission, 6-speed automatic, Tires, 195/65R15 all-season, blackwall, Tire, compact spare, T125/70D16. * Stop By Today *A short visit to Nimnicht Chevrolet located at 1550 Cassat Ave, Jacksonville, FL 32210 can get you a tried-and-true Cruze today! Scores 38 Highway MPG and 28 City MPG! This Chevrolet Cruze delivers a Turbocharged Gas I4 1.4L/85 engine powering this Automatic transmission. ENGINE, 1.4L TURBO DOHC 4-CYLINDER DI with Continuous Variable Valve Timing (CVVT) (153 hp [114.08 kW] @ 5600 rpm, 177 lb-ft of torque [239 N-m] @ 2000-4000 rpm) (STD), Wipers, front intermittent, variable, Wiper, rear intermittent with washer. *This Chevrolet Cruze Comes Equipped with These Options *Windshield, solar absorbing, Windows, power with Express-Down, Wheels, 15 (38.1 cm) steel with full bolt-on wheel covers, Wheel, spare, 16 (40.6 cm) steel, Warning tones, driver and front passenger seat belts, Visors, driver and front passenger vanity mirrors, USB ports, 2, with auxiliary input jack, front, Transmission, 6-speed automatic, Tires, 195/65R15 all-season, blackwall, Tire, compact spare, T125/70D16. * Stop By Today *Test drive this must-see, must-drive, must-own beauty today at Nimnicht Chevrolet, 1550 Cassat Ave, Jacksonville, FL 32210. Delivers 38 Highway MPG and 28 City MPG! This Chevrolet Cruze delivers a Turbocharged Gas I4 1.4L/85 engine powering this Automatic transmission. TRANSMISSION, 6-SPEED AUTOMATIC (STD), LS CONVENIENCE PACKAGE includes (K34) cruise control, (BTV) remote vehicle starter system, (UC3) steering wheel-mounted controls, (SK8) 16 aluminum wheels, 16 tires and (NJ0) electric rack-mounted, reduced travel power steering, ENGINE, 1.4L TURBO DOHC 4-CYLINDER DI with Continuous Variable Valve Timing (CVVT) (153 hp [114.08 kW] @ 5600 rpm, 177 lb-ft of torque [239 N-m] @ 2000-4000 rpm) (STD). * This Chevrolet Cruze Features the Following Options *Wiper, rear intermittent with washer, Windshield, solar absorbing, Windows, power with Express-Down, Wheel, spare, 16 (40.6 cm) steel, Warning tones, driver and front passenger seat belts, Visors, driver and front passenger vanity mirrors, USB ports, 2, with auxiliary input jack, front, Transmission, 6-speed automatic, Tires, 195/65R15 all-season, blackwall, Tire, compact spare, T125/70D16. * Stop By Today *Test drive this must-see, must-drive, must-own beauty today at Nimnicht Chevrolet, 1550 Cassat Ave, Jacksonville, FL 32210. Delivers 38 Highway MPG and 28 City MPG! This Chevrolet Cruze delivers a Turbocharged Gas I4 1.4L/85 engine powering this Automatic transmission. WHEELS, 16 (40.6 CM) ALUMINUM, TRANSMISSION, 6-SPEED AUTOMATIC (STD), TIRES, 205/55R16 ALL-SEASON, BLACKWALL. * This Chevrolet Cruze Features the Following Options *LS CONVENIENCE PACKAGE includes (K34) cruise control, (BTV) remote vehicle starter system, (UC3) steering wheel-mounted controls, (SK8) 16 aluminum wheels, 16 tires and (NJ0) electric rack-mounted, reduced travel power steering , STEERING, POWER, ELECTRIC RACK-MOUNTED, REDUCED TRAVEL, STEERING WHEEL CONTROLS, MOUNTED AUDIO AND PHONE INTERFACE CONTROLS, SEATS, FRONT BUCKET WITH RECLINING SEATBACKS AND ADJUSTABLE HEAD RESTRAINTS (STD), REMOTE VEHICLE STARTER SYSTEM, LS PREFERRED EQUIPMENT GROUP includes Standard Equipment, JET BLACK, CLOTH SEAT TRIM, ENGINE, 1.4L TURBO DOHC 4-CYLINDER DI with Continuous Variable Valve Timing (CVVT) (153 hp [114.08 kW] @ 5600 rpm, 177 lb-ft of torque [239 N-m] @ 2000-4000 rpm) (STD), CRUISE CONTROL, BLACK. * Visit Us Today *For a must-own Chevrolet Cruze come see us at Nimnicht Chevrolet, 1550 Cassat Ave, Jacksonville, FL 32210. Just minutes away! Boasts 38 Highway MPG and 28 City MPG! This Chevrolet Cruze delivers a Turbocharged Gas I4 1.4L/85 engine powering this Automatic transmission. ENGINE, 1.4L TURBO DOHC 4-CYLINDER DI with Continuous Variable Valve Timing (CVVT) (153 hp [114.08 kW] @ 5600 rpm, 177 lb-ft of torque [239 N-m] @ 2000-4000 rpm) (STD), Wipers, front intermittent, variable, Wiper, rear intermittent with washer. *This Chevrolet Cruze Comes Equipped with These Options *Windshield, solar absorbing, Windows, power with Express-Down, Wheels, 15 (38.1 cm) steel with full bolt-on wheel covers, Wheel, spare, 16 (40.6 cm) steel, Warning tones, driver and front passenger seat belts, Visors, driver and front passenger vanity mirrors, USB ports, 2, with auxiliary input jack, front, Transmission, 6-speed automatic, Tires, 195/65R15 all-season, blackwall, Tire, compact spare, T125/70D16. * Stop By Today *Test drive this must-see, must-drive, must-own beauty today at Nimnicht Chevrolet, 1550 Cassat Ave, Jacksonville, FL 32210. Boasts 38 Highway MPG and 28 City MPG! This Chevrolet Cruze delivers a Turbocharged Gas I4 1.4L/85 engine powering this Automatic transmission. TRANSMISSION, 6-SPEED AUTOMATIC (STD), LS CONVENIENCE PACKAGE includes (K34) cruise control, (BTV) remote vehicle starter system, (UC3) steering wheel-mounted controls, (SK8) 16 aluminum wheels, 16 tires and (NJ0) electric rack-mounted, reduced travel power steering, ENGINE, 1.4L TURBO DOHC 4-CYLINDER DI with Continuous Variable Valve Timing (CVVT) (153 hp [114.08 kW] @ 5600 rpm, 177 lb-ft of torque [239 N-m] @ 2000-4000 rpm) (STD). *This Chevrolet Cruze Comes Equipped with These Options *Wiper, rear intermittent with washer, Windshield, solar absorbing, Windows, power with Express-Down, Wheel, spare, 16 (40.6 cm) steel, Warning tones, driver and front passenger seat belts, Visors, driver and front passenger vanity mirrors, USB ports, 2, with auxiliary input jack, front, Transmission, 6-speed automatic, Tires, 195/65R15 all-season, blackwall, Tire, compact spare, T125/70D16. * Visit Us Today *You've earned this- stop by Nimnicht Chevrolet located at 1550 Cassat Ave, Jacksonville, FL 32210 to make this car yours today! Boasts 40 Highway MPG and 29 City MPG! This Chevrolet Cruze delivers a Turbocharged Gas I4 1.4L/ engine powering this Automatic transmission. WHEELS, 16 (40.6 CM) ALUMINUM (STD), TRANSMISSION, 6-SPEED AUTOMATIC (STD), TIRES, 205/55R16 ALL-SEASON, BLACKWALL. * This Chevrolet Cruze Features the Following Options *DRIVER CONFIDENCE PACKAGE includes (UD7) Rear Park Assist, (UKC) Side Blind Zone Alert with Lane Change Alert and (UFG) Rear Cross Traffic Alert, CONVENIENCE PACKAGE includes (AVJ) Keyless Open, (BTM) Keyless Start, (KA1) heated driver and front passenger seats, (AH5) driver 8-way power seat adjuster, (DLF) outside heated power-adjustable, manual-folding mirrors and (WPR) Driver Confidence Package , SEATS, HEATED DRIVER AND FRONT PASSENGER, SEATS, FRONT BUCKET WITH RECLINING SEATBACKS AND ADJUSTABLE HEAD RESTRAINTS (STD), SEAT ADJUSTER, DRIVER 8-WAY POWER, REAR PARK ASSIST, REAR CROSS TRAFFIC ALERT, MIRRORS, OUTSIDE HEATED POWER-ADJUSTABLE, MANUAL-FOLDING, LT PREFERRED EQUIPMENT GROUP includes Standard Equipment, LANE CHANGE ALERT WITH SIDE BLIND ZONE ALERT. * Stop By Today *For a must-own Chevrolet Cruze come see us at Nimnicht Chevrolet, 1550 Cassat Ave, Jacksonville, FL 32210. Just minutes away! Boasts 38 Highway MPG and 29 City MPG! This Chevrolet Cruze boasts a Turbocharged Gas I4 1.4L/ engine powering this Automatic transmission. WHEELS, 16 (40.6 CM) ALUMINUM (STD), TRANSMISSION, 6-SPEED AUTOMATIC (STD), TIRES, 205/55R16 ALL-SEASON, BLACKWALL (STD). * This Chevrolet Cruze Features the Following Options *RS PACKAGE includes (T43) rear spoiler, (T3U) front fog lamps, (BVG) sport body kit and (E38) RS lettering ornamentation, CONVENIENCE PACKAGE includes (ATH) Keyless Open, (BTM) Keyless Start, (KA1) heated driver and front passenger seats and (AH5) driver 8-way power seat adjuster, and (BTV) remote vehicle starter system [with automatic transmission only]; deletes (KTF) primary foldable key, BODY KIT, SPORT (Included and only available with (ZLH) RS Package.) , SPOILER, REAR, SILVER ICE METALLIC, SEATS, HEATED DRIVER AND FRONT PASSENGER, SEATS, FRONT BUCKET WITH RECLINING SEATBACKS AND ADJUSTABLE HEAD RESTRAINTS (STD), SEAT ADJUSTER, DRIVER 8-WAY POWER, REMOTE VEHICLE STARTER SYSTEM, ORNAMENTATION, RS LETTERING. * Visit Us Today *Stop by Nimnicht Chevrolet located at 1550 Cassat Ave, Jacksonville, FL 32210 for a quick visit and a great vehicle! Boasts 38 Highway MPG and 28 City MPG! This Chevrolet Cruze boasts a Turbocharged Gas I4 1.4L/85 engine powering this Automatic transmission. TRANSMISSION, 6-SPEED AUTOMATIC (STD), LS CONVENIENCE PACKAGE includes (K34) cruise control, (BTV) remote vehicle starter system, (UC3) steering wheel-mounted controls, (SK8) 16 aluminum wheels, 16 tires and (NJ0) electric rack-mounted, reduced travel power steering, ENGINE, 1.4L TURBO DOHC 4-CYLINDER DI with Continuous Variable Valve Timing (CVVT) (153 hp [114.08 kW] @ 5600 rpm, 177 lb-ft of torque [239 N-m] @ 2000-4000 rpm) (STD). *This Chevrolet Cruze Comes Equipped with These Options *Wiper, rear intermittent with washer, Windshield, solar absorbing, Windows, power with Express-Down, Wheel, spare, 16 (40.6 cm) steel, Warning tones, driver and front passenger seat belts, Visors, driver and front passenger vanity mirrors, USB ports, 2, with auxiliary input jack, front, Transmission, 6-speed automatic, Tires, 195/65R15 all-season, blackwall, Tire, compact spare, T125/70D16. * Stop By Today *Stop by Nimnicht Chevrolet located at 1550 Cassat Ave, Jacksonville, FL 32210 for a quick visit and a great vehicle! Delivers 40 Highway MPG and 29 City MPG! This Chevrolet Cruze delivers a Turbocharged Gas I4 1.4L/ engine powering this Automatic transmission. WHEELS, 16 (40.6 CM) ALUMINUM (STD), TRANSMISSION, 6-SPEED AUTOMATIC (STD), TIRES, 205/55R16 ALL-SEASON, BLACKWALL. *This Chevrolet Cruze Comes Equipped with These Options *RS PACKAGE includes (T43) rear spoiler, (T3U) front fog lamps, (BVG) sport body kit and (E38) RS lettering ornamentation, DRIVER CONFIDENCE PACKAGE includes (UD7) Rear Park Assist, (UKC) Side Blind Zone Alert with Lane Change Alert and (UFG) Rear Cross-Traffic Alert, CONVENIENCE PACKAGE includes (ATH) Keyless Open, (BTM) Keyless Start, (KA1) heated driver and front passenger seats and (AH5) driver 8-way power seat adjuster, and (BTV) remote vehicle starter system [with automatic transmission only]; deletes (KTF) primary foldable key, BODY KIT, SPORT (Included and only available with (ZLH) RS Package.) , SPOILER, REAR, SEATS, HEATED DRIVER AND FRONT PASSENGER, SEATS, FRONT BUCKET WITH RECLINING SEATBACKS AND ADJUSTABLE HEAD RESTRAINTS (STD), SEAT ADJUSTER, DRIVER 8-WAY POWER, REMOTE VEHICLE STARTER SYSTEM, RED HOT. * Stop By Today *Test drive this must-see, must-drive, must-own beauty today at Nimnicht Chevrolet, 1550 Cassat Ave, Jacksonville, FL 32210. Complete the form below to get a quick response about this promotional vehicle offer!